WRA is committed to honoring our outstanding faculty, and through the support of generous donors, we are fortunate to have several endowed faculty chairs. 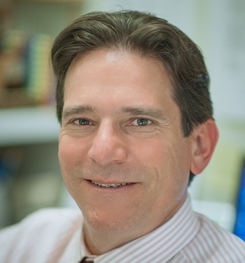 Listed below are the chairs and their brief personal reflections on teaching at WRA. We invite you to explore the biographies of all our accomplished and respected faculty in our directory. Established in January 2016, The Susan & John ’63 Steen Chair for Science and Mathematics supports teaching excellence in Chemistry, Biology, Physics or Mathematics. Being a part of the WRA faculty community means growing both academically and personally through common experiences and conversations I share with my colleagues. I believe that our science and mathematics programs here at Western Reserve Academy equip our students with critical thinking skills that help them become proficient “troubleshooters” by thinking outside the box. They probably will never grow cancer cells again but they will know what it is like to keep an unwavering schedule, observe and tend to a project that has been placed on their shoulders. Our graduates are given the tools that help them become contributing members of society. Although I may have been the direct recipient of this award, it too belongs to our Science Department as a whole. For none of what I do would be possible without their support and commitment to the advancement of science. The obvious result of such an honor is motivation to continue and even further increase one’s level of performance. Our biotechnology program has grown from a single station to 14 fully-equipped stations and other equipment comparable to what we have in our lab at Cleveland Clinic. This has all been possible thanks to WRA’s openness to the Science Department’s new ideas, great colleagues that support one another and students whose interests make our programs highly popular. This chair was established in 1992 by Ellen Long’s husband, T. Dixon Long ’51, and her children, Samuel D. Long ’84 and Maud Alison C. Long ’86, as part of The Campaign for Western Reserve Academy. In establishing this chair, the Long family stressed its intention to reinforce the excellent program in modern languages that Reserve has continued to offer to generations of students. The Longs, who spent many years abroad, believed that speaking the language of the country in which they lived was critical to understanding the people and their culture, and that a solid foundation in language is necessary to play an active role in today’s world. The Parents Chair for Distinguished Teaching was established by the parents of the Class of 1987, with the James N. Purse Memorial Fund as its principal donor. Selected by the Headmaster in consultation with others, the chair holder, who must be a senior master, is chosen for exceptional teaching ability as well as a deep personal and professional commitment to students. Western Reserve Academy is an incredibly special place to me. I have lived in my house on campus longer than I have lived anywhere else, and it is truly “home” for me. WRA’s greatest strength is the dynamic people who make up this community. Our students and my colleagues are bright, motivated, and friendly. They come from such diverse backgrounds, making campus in some sense a true world community. The students stretch themselves in several areas at once --feeding their passions while stepping outside of their comfort zones. Their growth during the short time they are here is amazing. I am honored to share their triumphs, joys, and disappointments. How can they excel in so many different areas and still have time to smile and greet everyone by name? I love watching the cycle of new students struggling to fit in, then stand out, and then become leaders in their own way. There is always another leader being made and another new student taking a chance on life here. After 20 years at WRA, I know it is the energy of its people, especially its students, that keeps me young. Every day offers new joys and challenges for me and for my students, and I wake each morning welcoming what the day will bring. Established in 1960 by the Independence Foundation of Philadelphia, this chair recognizes a distinguished full-time faculty member who is spending a major portion of his or her time in teaching as opposed to administrative or other duties. Only 19 boarding schools throughout the United States have been so recognized by the Independence Foundation. Established in January 2016 and beginning in the 2017 academic year, The Cole Family Endowed Chair in Technology will be awarded to a teacher of exceptional talent and demonstrated acumen in the field of technology. Western Reserve Academy and its students benefit from the technology program by providing us with the essential technology tools that promote engagement and support effective communication, collaboration, problem solving, differentiated learning, critical thinking and creativity. 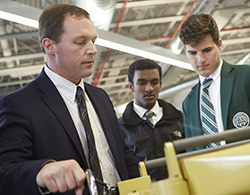 Technology at WRA should prepare our graduates and faculty with the skills that are essential for success in the increasingly complex, changing and connected knowledge society of the 21st Century. Technology is a tool that provides the capacity to innovate and solve complex problems and is one of the most critical skills we can bestow upon our graduates. The support of the Cole Family provides the resources to continue to provide our students with a sound technological foundation. The endowment allows for us to continue to provide tremendous support and opportunities beyond what we are currently providing and allows us to constantly stay abreast and apprised of new and emerging technology that can enrich and empower the learning experience for the WRA community. 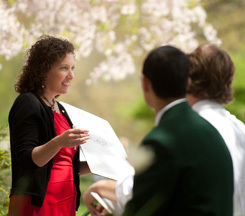 The WRA faculty community is a culture of learning, support and mentorship to our students. 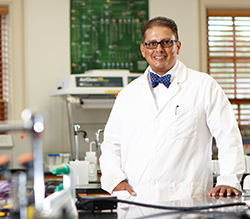 It is a wonderful community to be a part of as a faculty member. It is a great honor to be a part of a community that puts the students first and leaves such a lasting impact on their lives. This fund was established in 1982 by David Swetland ’34 to honor two of Reserve’s finest teachers, who by teaching and personal example provided David with a lasting appreciation of literature and history. The chair recognizes a senior faculty member for distinguished teaching and for the strong interdisciplinary interests cherished by the Roundys. I am passionate about gardening and passionate about teaching history. After almost 30 years in the classroom, I've come to realize that these two passions are essentially one and the same. They both allow me to be intimately involved in a very rewarding process. Although I enjoy teaching and talking about history, what sustains me -- what keeps me showing up each fall -- is not so much the topics and concepts that I share with students, but the "second curriculum": the role I play in helping young adolescents to grow in to the people that they aspire to be. This profession is one of very few professions that, like gardening, allows one to nurture, tend and celebrate the successful maturation of a living entity, an entity both beautiful and unique. The interactions between teachers and students at WRA -- in the classroom, in the dorm, on the playing fields or over a good meal in the dining hall -- can be both challenging and rewarding, but they are always meaningful and make the small job I do each day helping students grow and find success feel significant and worthwhile. Just as a gardener's efforts and decisions determine the fate of the delicate plants in her garden, a teacher makes a million life-changing decisions each year that contribute to the successful development of a young person. In both cases, there are so many variables and unknowns. One never knows what a new season or school year will bring. This is what keeps me coming back each year: the sense of the unknown and the possibilities. It is a wild ride, but it is one that is always worth taking. Through the generosity of Charles ’60 and Susan Snyder, the chair was established in 2010 to attract and retain teachers of the highest caliber whose expertise, expectations, standards and lessons will inspire young people and help transform their lives. I love mathematics and teaching mathematics, but I also love boarding school life. In the classroom, I enjoy guiding our willing and motivated students as they explore and discover the beautiful universe of patterns, symbolism, logical reasoning, language and application that is mathematics. Beyond the classroom, I love the many opportunities to be an approachable and supportive adult in the lives of WRA students in the dorm, in the dining hall and on the athletic field. WRA, to me, is not so much a school as it is a community of teachers, students, coaches, athletes, artists, families, colleagues and friends. In such a place, teaching is more than a job; it is a vocation and a way of life. For me, WRA has been the ideal place to pursue my vocation as a teacher, an ideal place to live and an ideal place for my wife and I to raise our own family. Established September 2013, the Pryce Chair was established through the generosity of donors who wished to create a lasting legacy for Bob and Velia Pryce who enriched the lives of students and colleagues from the time of Bob’s arrival on campus in 1957 until they retired in 1995. I count myself immensely fortunate to have found a teaching position (and home!) at so warm, welcoming, and generally congenial a school as Western Reserve Academy. My colleagues are helpful, passionate, and unquestionably dedicated. My students are truly eager to learn, not simply for the sake of a grade but from genuine interest, and they fully understand the role they must play in their learning and the work they must do to achieve their academic ends. Our administrators do absolutely everything in their power to support the teachers and students. In sum, I consider living and working at WRA as akin to winning the lottery of life. Established in 2013, the chair is awarded to an exceptional faculty member who is a dedicated and passionate teacher, a standout among the faculty known and respected for his or her deep commitment to students and faculty colleagues alike, and whose life and work are a testament to the School’s core values of excellence, integrity and compassion. The Roush/Wayburn Chair honors a faculty master for distinguished teaching and dedicated service to Western Reserve Academy. The chair will be held by a senior faculty master who will oversee the development and implementation of a course in conservation studies as well as other environmentally related courses and programs. I love being a part of this community. It is a privilege to walk into the classroom each morning. I enjoy the freedom and time to explore current scientific developments with my inquisitive, creative and hardworking students. Beyond the classroom, I have the opportunity to connect with these same students in so many ways -- as an advisor, as a coach, and in the dorm. It allows for much deeper and more meaningful relationships that last well beyond graduation. Life on campus is a "throwback" to the neighborhoods of the past, where everybody knows and cares for everybody. I also appreciate WRA for the community of practice that it supports. 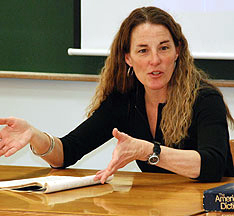 Saturday Academy, which allows faculty to design a unique course around their academic interests, is one example of the creative vitality of this place. Moreover, the school encourages and generously supports professional development opportunities. Overall, WRA is not only a great place to work, but also to live and raise a family. Established in 1982 in honor of J. Frederick Waring, master in history and English at Reserve from 1935 to 1967, the chair is awarded to a faculty member who has taught at Reserve for at least three years, but not more than seven years, and who has demonstrated a strong sense of commitment to excellence, integrity and compassion, the values that the Academy strives to foster in all aspects of school life. This chair was established by John Griffiths 1950 in memory of John Hallowell, who was the headmaster from 1946 to 1967. During his tenure, Hallowell invited seniors to his home for breakfast and discussion on Sundays, which Griffiths felt to be extremely valuable and intellectually stimulating. That faculty master who, by way of his skill and dedication both in and out of the classroom, speaks to the issues of philosophy, ethics and societal responsibility will hold the Hallowell Chair. Further, the recipient must manifest and value academic rigor, intellectual growth, proper decorum and loyalty to Reserve. Being a member of the WRA faculty has given me the opportunity to grow and to stretch. During my time here, I have acquired two additional degrees, in archaeology and in global health (the latter made possible with the Hallowell sabbatical). The archaeology degree stretched me intellectually and the second program in global health has allowed me to pursue studies that support my commitment to social justice. Besides the diversity and inclusion initiatives I have undertaken at our school, I would like to develop a course that examines global health challenges and asks students to create solutions. We need to be encouraging our students to become aware of what many in the world face and to be determined to help make our planet a more fair and equitable place. I consider the Hallowell Chair in Philosophy and Ethics an honor as it reinforces my inclination to take on tough issues and to help shape our students in becoming contributing, responsible citizens. The chair was established in 1973 and honors a senior member of the faculty who has contributed significantly to teaching and learning at Reserve.